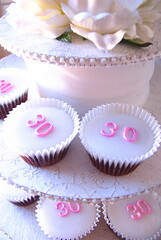 Delicious chocolate mudcakes with soft fondant icing & edible "30's" on each. 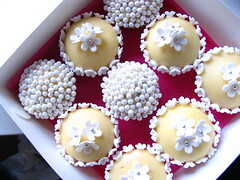 The customer wanted very plain white cupcakes. 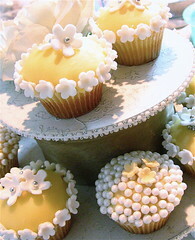 Wedding Cupcakes for a Magazine Shoot! Made for a magazine shoot! My website internet service provider has disappeared off the face of the earth! So my website & accompanying email is no longer active.The telecommunications ombudsman has told me this has not happened before. Luckily my web designer has my details so will hopefully be able to get my site up & running ASAP! 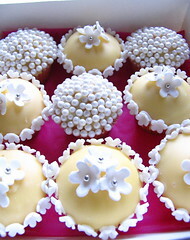 Please direct any queries to my other email on lecupcake@iprimus.com.au (which unfortunatley has also been playing up at times!!!) or phone on 02 9665 5792 or mobile 0400450098. 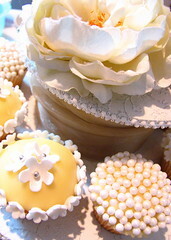 One of my cupcake displays, originally uploaded by kylie lambert. 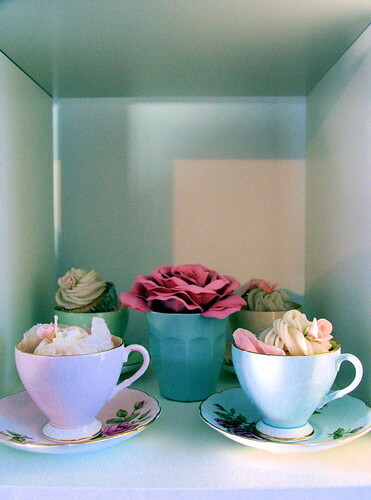 Gorgeous antique cups & saucers with cupcakes. A display. Dora The Explorer & Cupcakes! Dora The Explorer & Cupcakes.